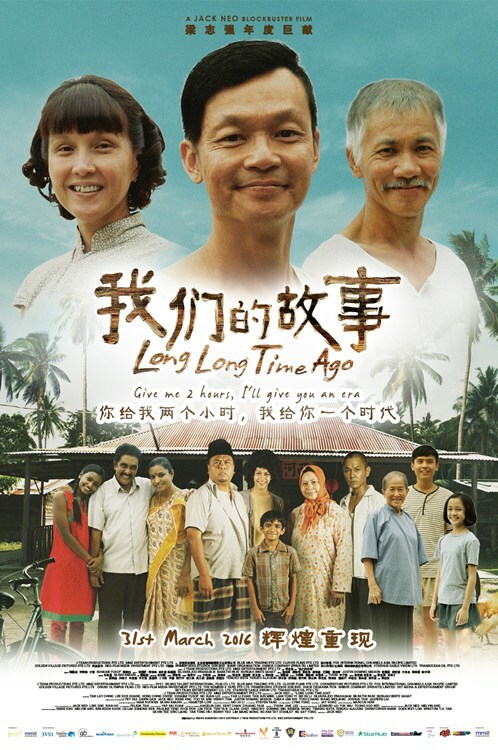 LONG LONG TIME AGO Movie Synopsis : LONG LONG TIME AGO narrative spans from 1965 to early 1970s, as the story follows a family as they journey through the years from Kampong to HDB, which parallels Singapore’s early growth. On 9 August 1965, the protagonist of the story, Zhao Di (Aileen Tan), was driven out from her husband’s family. At the same time, she was pregnant and due anytime. On the night she was driven out, she also gave birth to a pair of twins, Shun Fatt and Su-mei. Su-mei was born with 2 moles on her face, and this is said to bring extreme bad luck and misfortune to the family. Under immense pressure, Zhao Di has to give Su-mei up to another family. With intense sadness and determination, Zhao Di needs to persevere and had to make a better life for the rest of her family. With Zhao Di’s indomitable spirit, and with the help of her family, they went through adversities, witnessed the changes through the years, and accompanied every step of the nation’s growth in its early years.